Here’s a quick and easy way to illustrate systemic failure in capitalism in a bar over drinks. Two trappers are trapping animals in the wilderness. 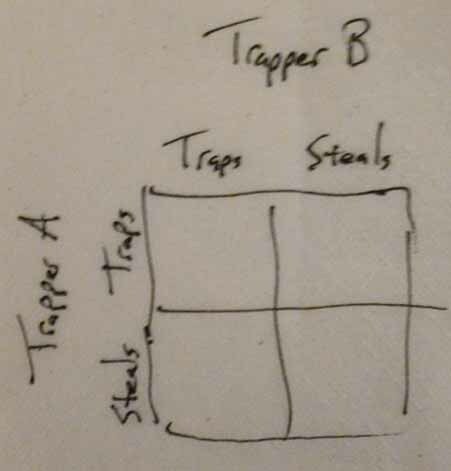 The trappers have 2 options. They can work hard and trap, or they can poach or steal from their neighbor. (Credit to Joseph Heath for the original explanation).